Scammers are targeting Minnesota Power customers. Con artists are calling Minnesota Power customers with demands for immediate payment of a past due electric bill or the power will be disconnected within the hour if no payment is made. Various directions are given for payment – prepaid money cards from Walgreen’s or CVS, electronic funds transfer through a “MoneyPak” payment system, routing and check numbers from your bank account or credit/debit card numbers. We do place courtesy calls for various business reasons and leave our 1-800-228-4966 number for a return call. These are usually recorded calls and never demand immediate payment of an overdue bill. While you may pay your Minnesota Power bill by phone or credit card, it is only through our third-party vendor, Western Union Speedpay, that these payments are accepted. You should never give your personal information to strangers. If a call sounds suspicious, call Minnesota Power at 1-800-228-4966 to report your concerns to one of our customer agents. To further protect yourself, you should only use authorized methods to pay your Minnesota Power bill. 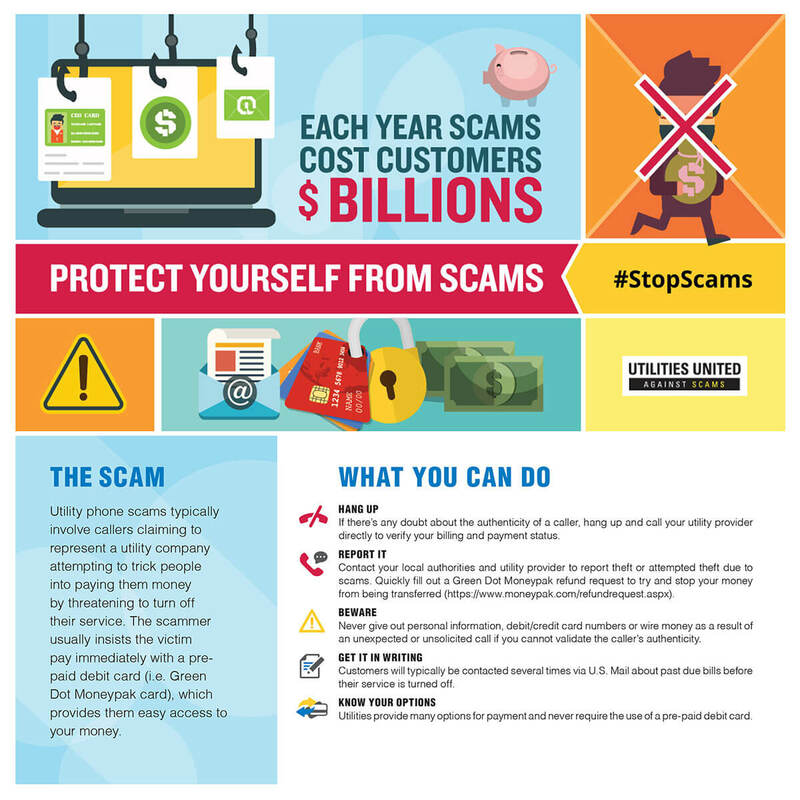 If you believe you’re a victim of a scam, you should notify the proper authorities, such as local police or state attorney general’s office. If you believe your Minnesota Power account has been affected, please call 1-800-228-4966 to speak with a Minnesota Power Customer Information Representative.